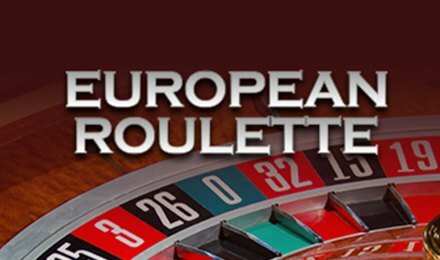 Revisit an old-time favourite of casino games with European Roulette. This deluxe table game is a must-try addition to your favourite online games collection. Created by NetEnt, it exhibits dashing visuals and sizzling options to add some actions in your entertainment. Are you ready to give it a try? European Roulette is fully optimised and can be played on mobile, tablet or desktop devices. Bet Levels: European Roulette does not include any Bet Levels in its gameplay. Amount of Paylines Selection: Since European Roulette is a table game, it does not involve any pay line. Coin Values: You are presented with a range of chip values on European Roulette. Do not hesitate to choose the value of your choice. There is a minimum of 0.10 and a maximum of 1K as chip values on this table game. The betting mat’s order of numbers is very different from the order of the Roulette Wheel. As such, the Race track Option allows you to bet on certain regions of the wheel. Useful, don’t you think? European Roulette proposes the various traditional betting values such as Straight, Split, Three Line, Column, Six Line, Dozens, Red or Black, Even or Odd. The pay table of the game shows the odds for the pays in case such bet wins. European Roulette is played in the same fashion as other roulette variations. You will need to set up a bet on a specific number or range of numbers. A roulette ball spinning in the wheel will determine the winning number and then you are paid wins according to the pay table. Good luck for all those heading for a win on their lucky numbers via European Roulette!